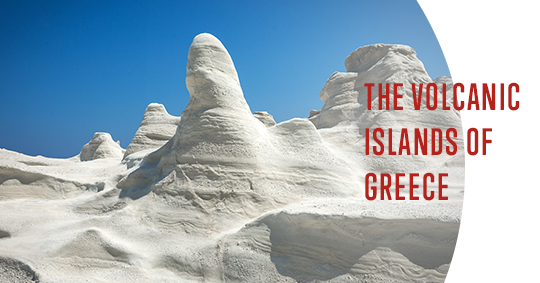 Let’s discover one by one the volcanic islands of Greece and take in their extraordinary beauty. The breath-taking scenery, the unique caldera, the exquisite villages amphitheatrically perched on the edge of the cliffs are reasons enough to visit the world-renowned island of Santorini. 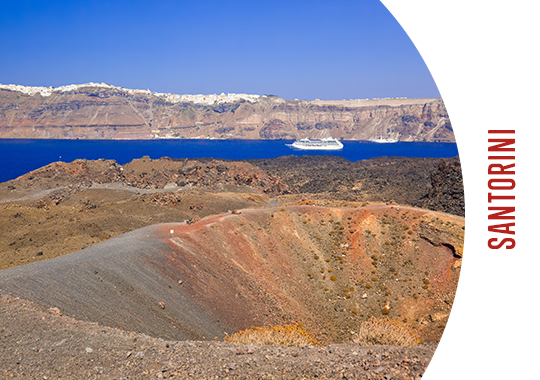 The iconic caldera was the result of the eruptions that took place between 1613-1614 BC and the entire island of Santorini was reborn from its ashes. The ashes enhanced the island’s soil with exquisite minerals that give a distinctive taste to locally produced goods and wines. Ashes that where spread across the surface, forming the multi-colored volcanic beaches of Santorini that will leave you breathless. The island-volcano of the Dodecanese was erupted in 1888 to form a 4 km long caldera along with 5 smaller craters in the center. It is considered to be the best preserved hydrothermal crater in the world still feeling the air with sulfuric fumes. The scenery is simply magical and the energy, incredible. 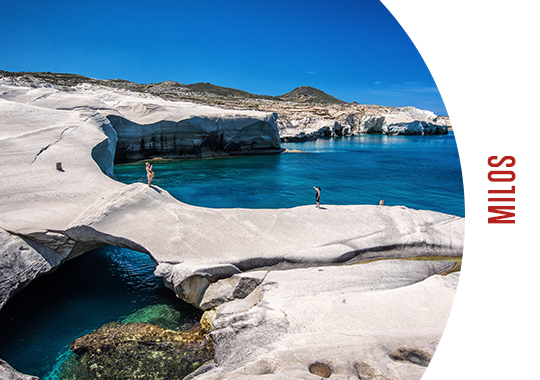 The island of Milos is well known for its unusual geological formations and the rich in mineral soil, all results of the eruption from 90,000 BC. 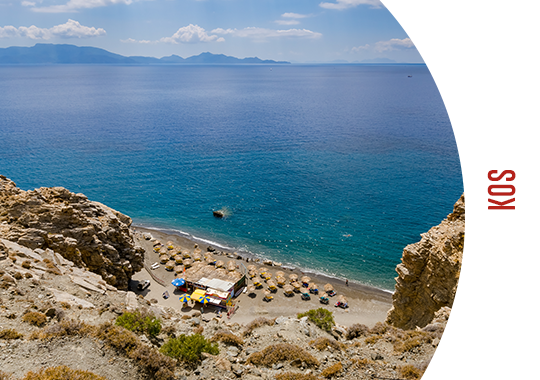 Sarakiniko attests the island’s volcanic legacy and so our most of the island’s beaches. Bentonite clay used for detoxing and Kaolin used for beauty purposes are some of the minerals found in large on the island. 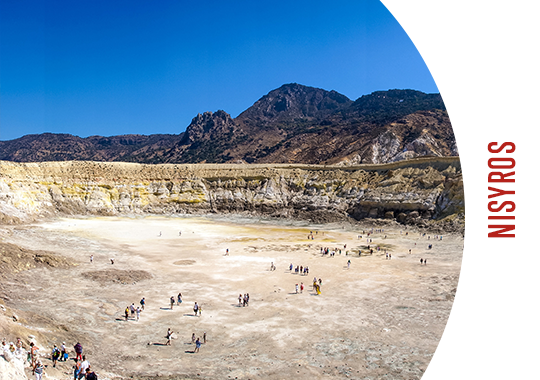 The Kos island’s geological formation hasn’t really been affected by its volcano but its energy is obvious in the warm springs of Therma. These springs are full of beneficial minerals that enhance your well-being and are there for ideal for relaxation and stress relief. Whether you wish to marvel up close these enchanting sceneries, feel the energy from the volcanoes or study their eruptive behavior and beneficial elements, then a trip to Greece is certainly worth it. Pick the island you prefer the most to explore and sail your way to one of the most beautiful volcanic islands in Greece! This entry was posted in Cycladia Posts, Destinations, Kos, Santorini, Tourism Insight and tagged greek islands. Bookmark the permalink.